A vision is of grave importance. Without a destination in mind, it's easy to find yourself wandering unnecessarily. Start with a simple vision, e.g. I want to be a lawyer; I want to eliminate institutional racism; I want to design "green" buildings; I want to create the next Picasso. A vision does not always come easily. Some of you have a lot that you want to do, which means you may have to work on your different visions individually, or find a way to connect them together. Some of you do not know what you want to do, which means you should to start with the question, "What am I really good at?" Engage in self-reflection by investigating your inherent interests in specific subjects and the skills that come naturally to you. After listing them down, start to explore different career paths. It is often better to start from such a perspective - if you think of your future career in a manner that plays with your strengths and interests from the get-go, you lessen the chances of ending up with a college major or career that you are not passionate about. A vision should be fluid in order to adapt to unexpected life changes. You may be at a point in your life where you no longer find your career satisfying, or have found passion in a different area. It is never too late to start over and go back to the drawing board. The point is to get started! After you have a vision, have a plan of action ("PoA"). Without a PoA, you cannot reach your destination. There are three essential elements to a PoA: (1) Action, (2) Deadline, and (3) Resources. There are different types of actions and you may have to start with the most basic ones: research and networking. As you work on your plans, actions will become more nuanced, e.g. submit application to XYZ Company; follow up with the director; set-up an informational interview. Always give yourself a deadline. It's easy to write stuff down and then forget to do them. The key to getting to your destination with success is constantly working on your plans. Don't leave things to the last minute and find unanticipated consequences such as losing your chance to apply for that awesome job. Now that most of you have a smart phone, set up an alarm or reminder for each of the actions you plan to take. Your resources are vital and they come in many forms. It can either be a specific person (e.g. Jane Magsaysay, Director of XYZ Company); an organization (e.g. Filipino Bar Association of Northern California); a website (e.g. www.apalanet.org); or points of contact (e.g. a person who can introduce you to someone who works for the White House, address of the company where you plan to drop off your resume). PoA's should be flexible and you should work with a form that fits the way you work. Nowadays, we work with our electronics. I now share with you the PoA I created when I decided to move to New York City (names have been redacted for privacy purposes) and here's a draft you can start with. 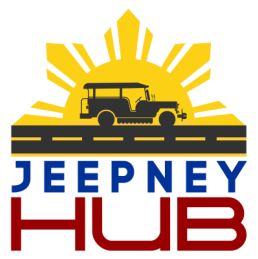 Don't hesitate to submit your PoA for feedback via email at jeepneyhub@gmail.com. i want to have my own poa!